I'm cheating here, because it's most certainly Monday and not Sunday, but it's a long weekend so I feel I can be excused. Especially as the last few weeks have been adventurous, mad, colourful and like a whirlwind. We started the holiday season with a quintessential Pacific/ Kiwiana Christmas in Tauranga, which included stringing jandals (flip flops) to a ginormous pine tree we'd pulled down from a neighbour's farm on Christmas Eve, campside sing-songs and glorious grub. We then proceeded up to the Coromandel for a few days of surfside socialising, followed by a two week trip around the South Island of New Zealand. Though I miss the mountains, waking up to river views and watching people launching themselves into cold waters, I have to say it feels good to be back in Wellington. I feel revitalised after the break, and ready to give this little slice of the internet some much-needed T.L.C. 03. Jim & Andy: The Great Beyond - The mad documentary following Jim Carrey's method acting during The Man on the Moon, a film based on the life of Andy Kaufman. It has to be seen to be believed. 07. Catching up with Charlie and Kristina's beautiful photographs of Japan on their Instagram account Driftwood Traveler. We met these guys in Chiang Mai in Thailand, and had so much fun with them; it's so great to see them still out on the road. 08. "I just need someone in my life to give it structure"
09. 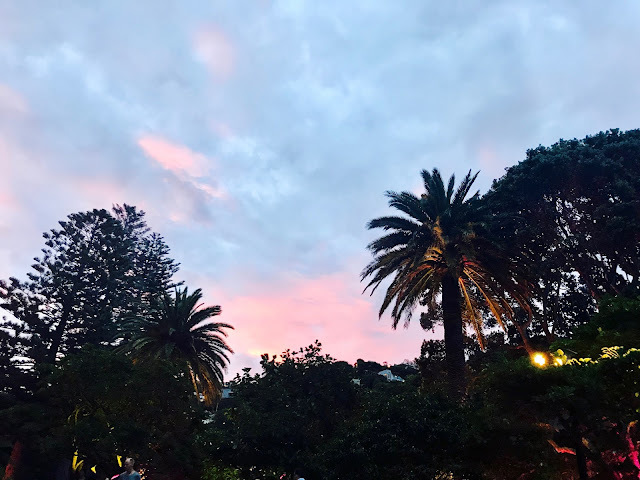 Glow worms in Wellington's Botanical Gardens - Last night we went and watched some local music in the most beautiful setting. Afterwards we walked into the darkness to witness the fairy lights of hundreds of the gardens' glow worms. 10. Summer nights - Can Summer stay forever? Dinner parties, afternoons on the deck soaking up the sun, t-shirts and shorts. I'm the ultimate sun baby, and I revel in the warmth.